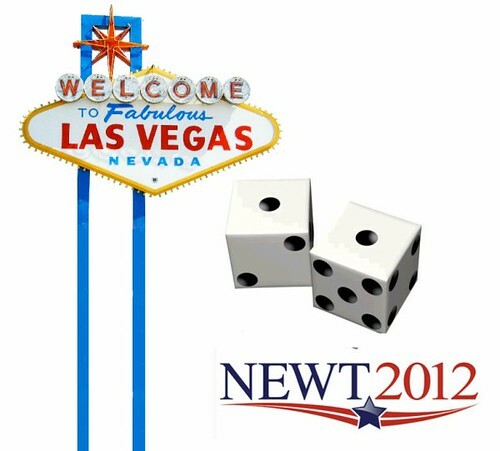 Newton Leroy Gingrich, disgraced former Speaker of the House, lost the Nevada Republican Presidential Caucus on Saturday, a crap shoot won by Mitt Romney. The campaign of High Roller Gingrich is now $600,000 in debt. Nevada draws 50 million tourists a year with its two famed industries, whores and gambling. Sadly for Mr. Gingrich, he’s losing the backing of Nevada casino owner Sheldon Adelson, and Nevada’s prostitutes voted for Ron Paul. This entry was posted on February 6, 2012 at 12:22 am and is filed under gambling, presidential politics, Republicans. You can follow any responses to this entry through the RSS 2.0 feed. You can leave a response, or trackback from your own site.